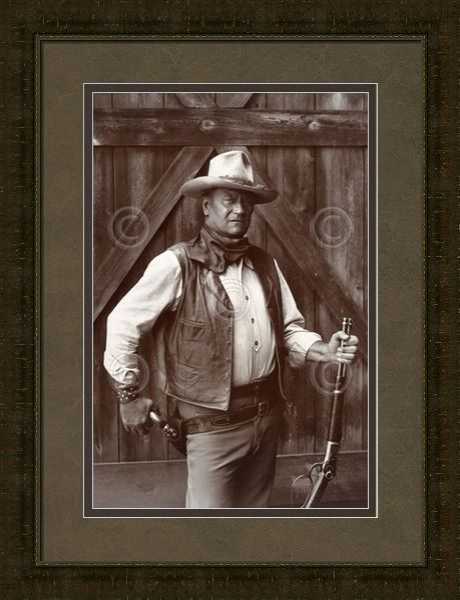 John Wayne The Cowboy by Bob Willoughby - Framed in dark walnut look frame with double mat. Ready to hang. Framed in dark walnut look frame with double mat. Ready to hang.